Bharat Sanchar Nigam Limited (BSNL), which earlier today announced its tie-up with Amazon has now revealed its plans for a potential tie-up with leading content aggregator Netflix. 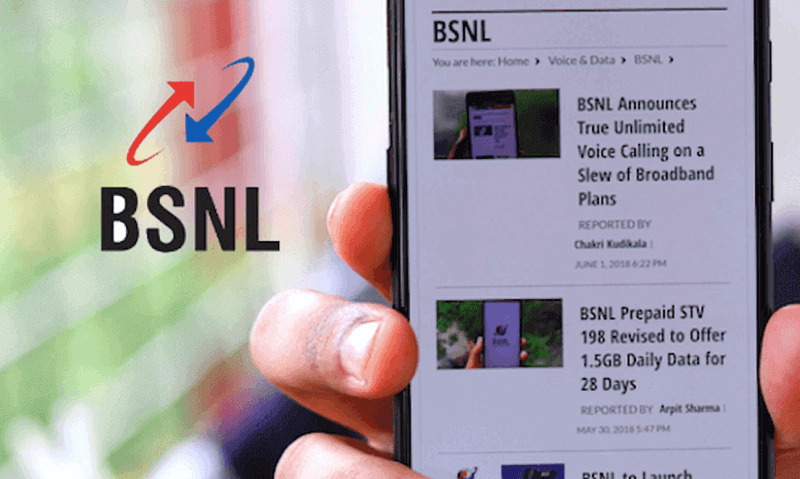 V Sundar, BSNL Telangana Telecom Circle Chief General Manager has confirmed this news to reporters at PTI, but he did not reveal what the tie-up will potentially offer to the customers. The demand for content is growing in India and BSNL wants its customers to enjoy the same. Private telcos such as Airtel, Vodafone have already inked their partnerships with Netflix to provide free subscription up to one year. BSNL-Netflix Partnership: What to Expect? Recently, Bharti Airtel announced its partnership with Netflix and starting today Airtel postpaid users can avail the free Netflix Basic plan worth Rs 500 for three months at no extra cost. In other news, BSNL is offering free Amazon Prime subscription to its users on the postpaid plan above Rs 399 and landline broadband plan priced above Rs 745. The same might apply to Netflix as well. BSNL will likely offer Netflix Basic plan to its postpaid and broadband users, taking on Bharti Airtel and Vodafone Idea. Public sector telecom operator BSNL will roll out its 4G services in two districts of Telangana next month and extend it to the rest of the state by March 2019, Sundar told reporters. Initially, a pilot project for 4G for the testing purpose shall be launched in Jadcherla town of Mahabubnagar district and Wyra town in Khammam district in November. It would be extended to some more districts by the end of this year and subsequently the 4G services shall be launched in all districts and Hyderabad by March 2019, he said. “…by March 2019, we expect to have 8-9 lakh new 4G customers,” Sundar added. BSNL was founded exactly 18 years ago on October 1, 2000. On the occasion of its 18th Formation Day, BSNL has rolled out four new prepaid STVs offering data and talk time benefits, followed by Amazon Prime offer earlier today. BSNL has rolled out an entry-level prepaid plan of Rs 18 offering unlimited data, calling benefits for a period of two days.